With Guru's grace we are now looking forward to holding our 5th Bike Ride event for the Sikh Helpline. 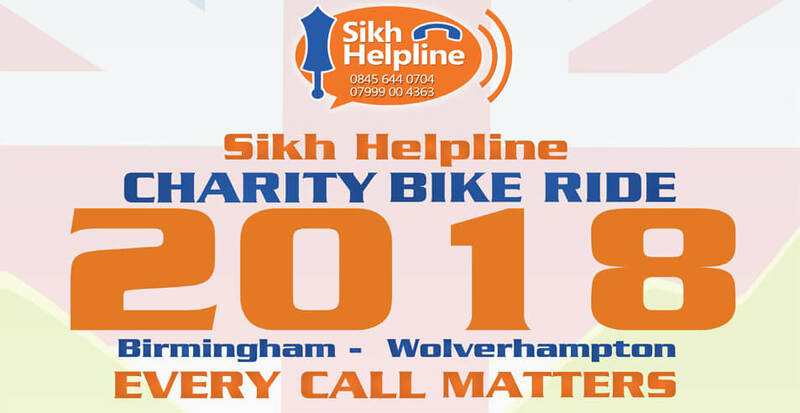 The previous three rides in 2014, 2015, 2016 and 2017 have proved to be a huge success, not only bringing the community together, promoting health and well being but also fund raising for the Sikh Helpline. The Sikh Helpline team are hoping to have in excess of 200 participants. The cyclists will set off on their 24 mile bike ride journey (2nd starting point 60 Miles from Leicester) , stopping at 13 local Sikh Gurdwaras and Mr Singhs who are also engaging in this worthy cause. Last years Sikh Helpline bike ride raised just over £30,000. Your selfless seva and generous donations have allowed the Sikh Helpline to employ a new Admin and Outreach worker, Permjit Kaur. Permjit Kaur has been working on new project initiatives and the recruitment of volunteers for these projects. She had also been working with external stakeholders to broaden and strengthen collaborations with specialist services. 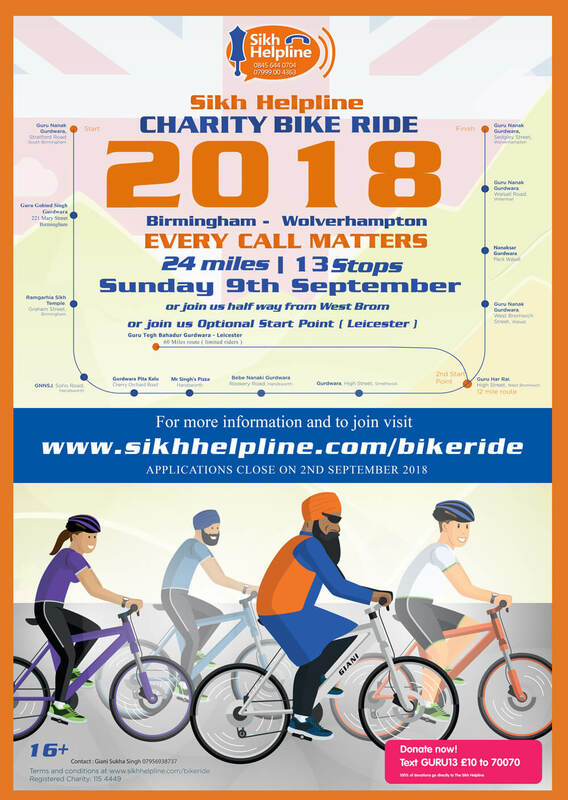 For the 2018 Sikh Helpline bike ride, cyclists will be crossing the finish line at the final Gurdwara in Wolverhampton after pedalling up to 24miles! (2nd starting point 60 Miles from Leicester) Cyclists will be raising money towards this years £50,000 target, for the Sikh Helpline because "Every Call Matters; that missed call may have been their only chance to make a call"
We need the support of the local communities to help us keep up with the increasing demand of calls. Every call matters and a missed call may be the only attempt someone makes for help. It is crucial that every call is answered."